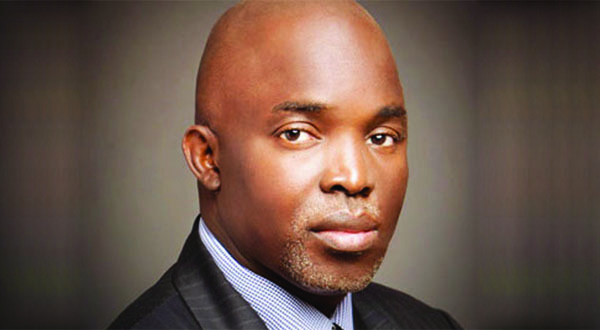 President of the Nigeria Football Federation, NFF, Amaju Melvin Pinnick, will depart Nigeria for Zurich, Switzerland on Monday for a meeting of the Organizing Committee for FIFA Competitions. The Organizing Committee for FIFA Competitions is one of the most influential committees in world football, as it replaced the former multi –panels for FIFA’s various competitions, viz FIFA World Cup, FIFA Confederations Cup, FIFA Women’s World Cup, FIFA Organizing Committee for the Olympic Football Tournaments, FIFA U20 World Cup, FIFA U20 Women’s World Cup, FIFA U17 World Cup, FIFA U17 Women’s World Cup, FIFA Beach Soccer World Cup, FIFA Club World Cup and the FIFA Futsal World Cup. On the agenda of the meeting are considerations and decisions with regards to updates on preparations by host nations for upcoming FIFA championships: FIFA U17 World Cup (India: 6-28 October 2017); FIFA Club World Cup (UAE: 6-16 December 2017); FIFA World Cup (Russia: 14 June – 15 July 2018); FIFA U20 Women’s World Cup (France: 4-26 August 2018) and; FIFA U17 Women’s World Cup (Uruguay: 20 November – 13 December 2018). Most importantly for the present, the Committee will take a final decision on the 2018 FIFA World Cup qualifying match between South Africa and Senegal, which was played in Polokwane on 12th November 2016 and has been mired in controversy ever since. Following investigations, the FIFA Disciplinary and Appeal Committees handed match referee Joseph Lamptey from Ghana a lifetime ban from football. On Wednesday, 6th September 2017, the Bureau for the FIFA World Cup Qualifiers ordered a replay of the match, following the confirmation of the lifetime ban on Lamptey by the Court of Arbitration for Sport (CAS). However, as captured in the FIFA World Cup regulations, the decision by the Bureau shall come into effect immediately, but shall be subject to confirmation by the Organizing Committee for FIFA Competitions, at its meeting at the Home of FIFA on Thursday, 14th September. From Zurich, Pinnick, who is also Vice President of the West African Football Union, will fly to Accra, Ghana for a meeting of the WAFU Executive Committee on Wednesday, 20th September. The following day, in the same Ghanaian capital, the NFF supremo, who is also Member of the CAF Executive Committee and of its Emergency Committee, will attend the CAF Exco meeting.